Where is Hermey when I need him? Vintage ad courtesy of Lloyd Manufacturing Co. I answered my own question before I even finished asking it. This was all in my head, mind you. “Does anyone really like going to the dentist?” The answer was yes. I actually do know someone who loves to go to the dentist. He goes in for cleanings every three months like clockwork. The feeling of a clean, refreshed mouth is pure joy for him. I, on the other hand, do not like going to the dentist. I have very bad dental karma. My proof? During the past two weeks, three of my four new crowns have failed! At different times! I soon discovered that my ego is directly related to my ability to smile. I smile all the time. And when I can’t smile, I feel deprived. I feel embarrassed to talk, for fear someone will see the gaping hole in my mouth where a tooth used to be. Eating becomes difficult, so I become irritable from lack of food. And the pain! I do not like pain. Tooth nerves must be connected microscopically to every other nerve in your body because when you have an exposed root of a tooth, it’s like your entire body acts like your funny bone, which is not fun at all. My bad dental karma began as a child. Dr. S, I’ll call him, used to walk into his exam room with a filterless cigarette dangling from his mouth (it was the 60s). 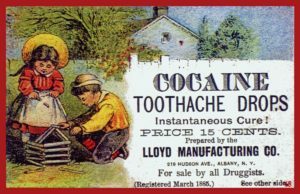 His own teeth were tiny little brown squares, the results of some weird medicine (tetracycline) they used to give children when he was young. Dr. S was not gentle, seemed to not really like kids, and the little plastic toys you got to pick out of his fish bowl jar after your treatment were lame. I got a great dentist in my teens, but he set me up for years of paying top dollar for dental care. I was an actress heading to Hollywood, after all, and couldn’t have a mouth full of silver fillings. Everything had to be porcelain, which is twice as expensive. I swear, throughout the years, I must have paid for more than one college education for my dentist’s children. Fast forward 40 years later and all my fancy fillings are wearing out. Crowns, bridges and implants are in my future. And who knows? I may end up even needing some Polygrip before long. Ah, the joys of aging. When I look in the mirror these days and see my broken smile, I can’t help but laugh. I look like the Abominable Snowman from the classic “Rudolf the Red Nosed Reindeer” TV special. I hope my new dentist loves her job as much as Rudolf’s Hermey the Dentist does!